The Glamp Clamp Table is a unique patent-applied-for design which is a self supporting table secured around the pole, which doesn't require legs. The Glamp Clamp™ Table, is self supporting and hence has no legs to get in the way. It comes in two halves/parts, which link into each other around the pole. It is ample size (diameter 58cm) for 4 people to sit around in comfort. 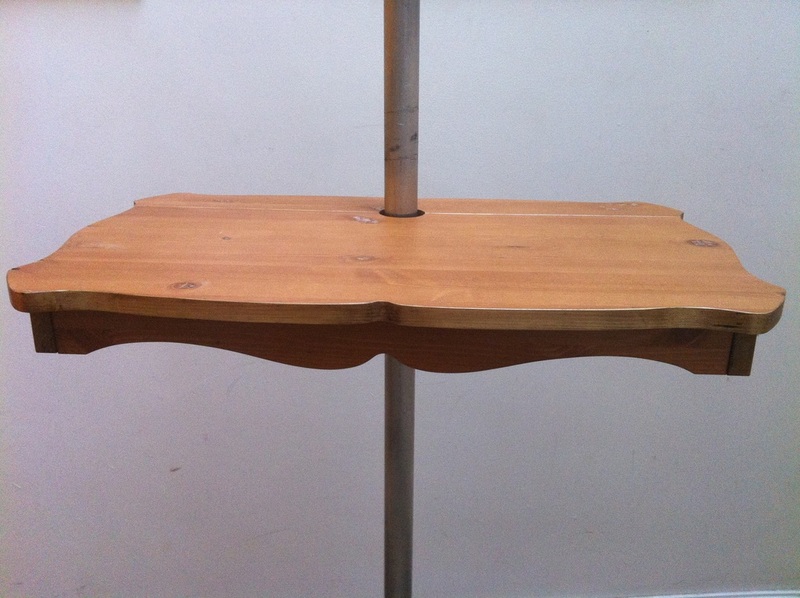 All our tables include the Glamp Clamp bracket which has 3 additional hooks under the table. It is great spare table for inclement weather or if you would prefer to eat indoors! All the tables are multi positional and do not slip down the pole. You can set it for a low height when sleeping, or mid height for sitting at it with a camping chair, or even move it high up the pole to stop little hands getting items they shouldn't. PLEASE NOTE: The Glamp Clamps™ are designed to fit any pole diameter from 25mm to 50mm. ​Customised table designs for your own tent or glamping business. The Furniture Board version are finished with finishing oil. These still need care when handling and we do not recommend them getting wet. If you wish to order hooks as well as the furniture board version, please use the drop down hook menu above for combined postage option. 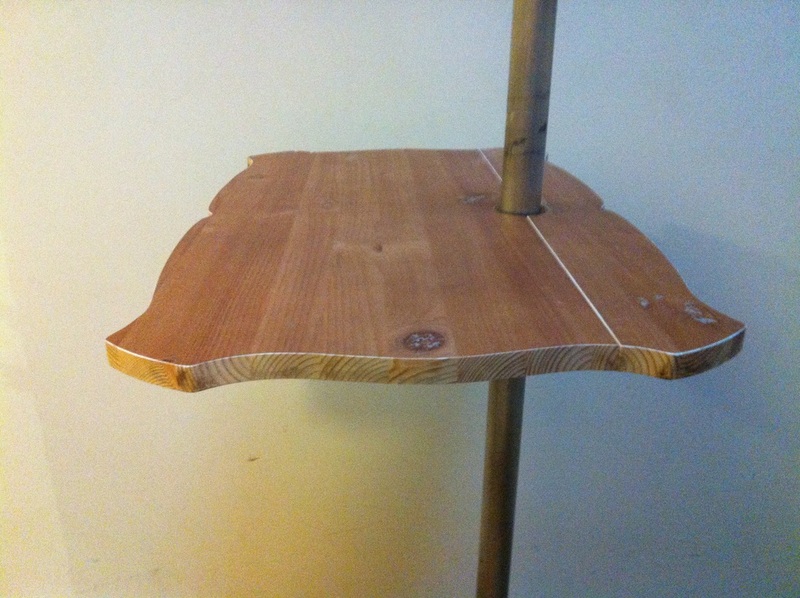 All our Glamp Yourself Tables are made from 15mm MDF - not primed/painted or sealed. * Photos of the offset design are shown in furniture board with finishing oil. We occasionally have seconds, ie a small amount of the powder coating chipped off on the brackets, and/or the MDF table top has some damage, or repairs. These will still make excellent tables and hooks, so will function and look the same as our normal products, but at the reduced price. If we have any, they will be shown here. For those of you who have already purchased a table and bracket, we offer the option that you can buy just a replacement table top - maybe you now need an offset table, or have damaged your original table top. Please do not use this option if you have not previously purchased a table, as it will be useless without the brackets. 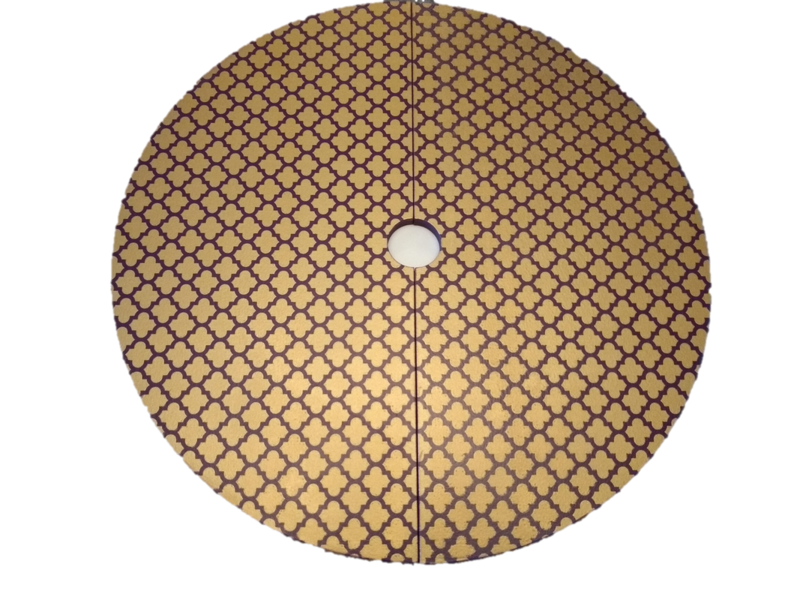 This particular stencil is £25 for a half stencil with registration tabs to keep the stencil lined up on the table half. We can also produce custom made tables or stencils - if you have a design, colour scheme, or need some inspiration, contact us to discuss your requirements further. Please see our Gallery for some fellow glampers table designs. Average Lead time: Depending on order, but as items are hand made, could be up to 10 working days - but usually a lot sooner - we will keep you to to date with expected despatch date. Delivery time: Standard Parcels: 3-5 working days from posting. without it. If you've got a bell tent, you need one of these." Thanks Gavin, much appreciated. Charmaigne, said "I just wanted to thank you for the speedy delivery of our hook and table". Pleased it arrived quickly, thanks. Normal common sense needs to prevail to ensure you do not put or hang heavy items off the central pole on any of the Glamp Clamps™, as you may bend the pole or cause the tent to become unstable. Warning - Choking Hazard - The Glamp Clamps are not toys and contain small screws, bolts and washers and are not suitable for children under 3 years.